American steel jobs are in jeopardy. A surge of illegally dumped oil country tubular goods (OCTG) imports, primarily from South Korea, are flooding the U.S. market. These foreign steel pipes are priced below fair value and in deceptive ways are designed to circumvent international trade laws. In July 2013, domestic steel producers filed a trade case that is now pending at the U.S. Department of Commerce. A final decision will be made in early- July 2014 and it is critical that our government fully investigates South Korea’s cheating. 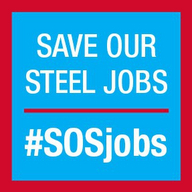 Stand with us and urge our government to save our steel jobs.